You are at:Home»Herbs»Daucus carota Linn. Latin name : Daucus carota Linn. Description : Carrot is anthelmintic, aphrodisiac, appetiser, cardiotonic, carminative, deobstruent, digestive, diuretic, emmenagogue, expectorant, galactagogue, ophthalmic, stimulant, sweet, thermogenic and mild vermifuge. Carrots are an excellent source of many antioxidant coumpounds, particularly beta-carotene, which protect against cardiovasular disease, cancer and macular degeneration. Beta-carotene is converted to vitamin A by the liver. When used as regularly in diet they improve eyesight and skin health. A wonderful cleansing medicine, it supports the liver and stimulates urine flow and the removal of waste by the kidneys. 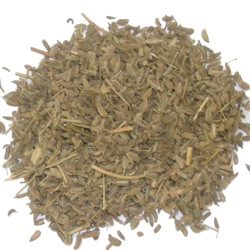 It has a beneficial influence on the kidneys and is a popular remedy for jaundice. It is a good blood cleanser and beautifies the skin. It is rich in carotene, which is converted to vitamin A by the liver. This nutrient acts to improve night blindness as well as vision in general. Beneficial in the treatment of glaucoma and reduces intraocular tension. Is also a good nervine tonic. In the treatment of gout and rheumatism it is used in combination with other naturals to provide its cleansing diuretic action. Also recommended in chronic diarrhoea. The seeds are anthelmintic, aromatic, carminative, diuretic and stimulant. Useful in oedema and as a nervine tonic and aphrodisiac. Also useful in flatulence, colic, hiccups, dysentery, chronic coughs, etc. They are excellent in obstructions of the viscera, in jaundice, and are also of service as an emmenagogue. Recommended Dosage : 5 to 10 g powder of dried seeds. Contraindication : Pregnant women should not use Carrot, as it is a uterine stimulant, and excessive use (many times the recommended dosage) is not recommended.